SC Media UK is pleased to announce an exclusive, ongoing initiative, The SC Media UK Editorial Roundtable Series, at our central London offices. This latest thought leadership series is an ideal forum for CISOs, CTOs and other senior industry leaders to network with peers, earn CPE credits and discuss and analyse the latest insights in information security with SC Media UK in our executive boardroom. The Roundtables will feature a networking breakfast or lunch, followed by an invitation-only, closed-door discussion. Our Roundtable topics include Privacy, Advanced Persistent Threats (APTs), Mobile Security, Cyber-Security and more. Attendance at each Roundtable will be limited to 15 CISO, CTO and other senior industry leaders and will be by invitation only. 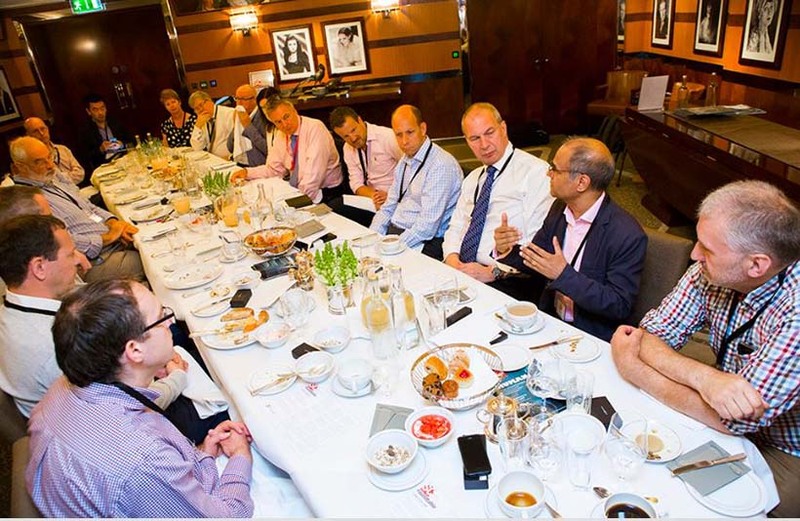 SC Media UK roundtables are run roughly every six to eight weeks on an ad-hoc basis, and are restricted to 12 to 20 senior industry professionals attending on an invitation only basis. They are editorially independent events focussing on peer to peer discussion of current issues in the world of cyber security - whether that be insider threats, making best use of threat intelligence or drawing up breach response plans.